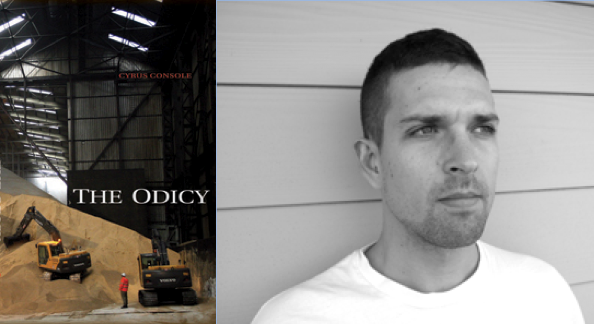 The title of Cyrus Console’s book THE ODICY is a pun that references Homer’s epic and Leibniz’s 1710 book Théodicée, which coined the term “theodicy,” a defense or vindication of God in respect to the existence of evil. As such, it immediately calls into play related, but disparate texts (and indeed, modes of discourse), as well as different cultural-historical moments. And it hints at what is perhaps a fatal overdetermination of elements at work in this book of poems. The poems are written in pentameter. They proceed in six-line stanzas, three stanzas each — except for the third section, which repeats an acrostic on the word “rainbow” — and occasional use of end-rhyme, or near-rhyme. As to theme, there is religion (especially fundamentalist fears about the apocalypse), the dangers of sugar and sugar substitutes (the cover is an image of a giant mound of sugar in a warehouse), and the “personal” odyssey of a narrator variously referred to as Tony and Anthony (and the lyric voice of same). That’s a lot; and the book, even in five sections, is not particularly long at eighty-three pages. 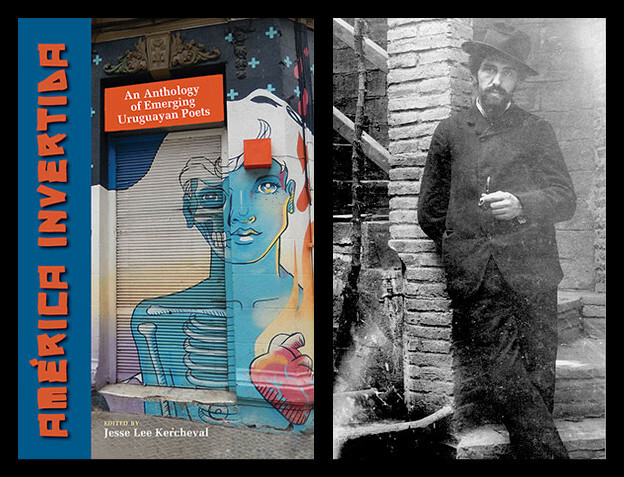 With its formal constraints and thematic scope, it recalls long projects like Berryman’s Dream Songs, Berrigan’s Sonnets, perhaps even Eliot’s The Waste Land or Four Quartets. But I was also reminded of W. H. Auden’s 1947 book (reissued this year) The Age of Anxiety: A Baroque Eclogue, written in an approximation of Anglo-Saxon alliterative verse, and exploring in six sections questions about individual identity and spirituality in an industrialized, urban world. There, as here, part of the challenge for both reader and writer is the grappling with an older verse form; there, as here, a prominent feature of the text is the way it dates itself, thematically and formally, to both distance and bring to the surface contemporary issues in the somewhat blurry lens this dating creates. Also, of course — as with any poetry that embraces constraint — another implicit challenge is to justify the need for the constraint; how does the content dovetail with form? In the case of Auden, there was a strong history with Anglo-Saxon alliterative verse that seemingly justified his delving into it. Auden studied with arch-philologist J. R. R. Tolkien, and his early poems bear the heavy mark of alliterative rhythms. In terms of subject matter, the argument can be made that the form reflects Auden’s own linguistic anxieties about transitioning from England to the United States, and the poem’s theme of introspective psychological reflection in a changing, alien world certainly echoes with Old English elegies such as “The Seafarer,” “The Wanderer,” and “The Wife’s Lament,” etc. 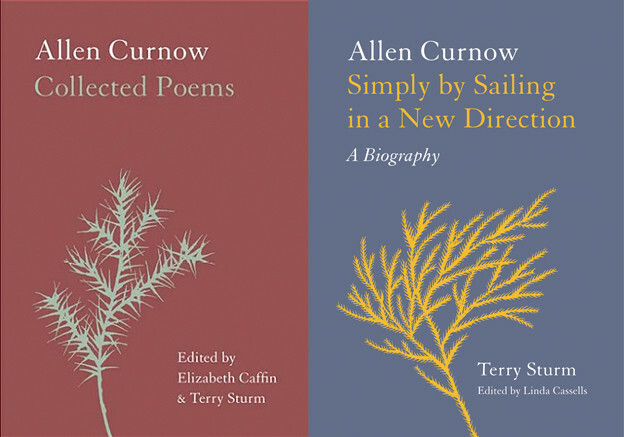 — a correspondence with postmodern lyric concerns that makes such poetry both a continuing point of fascination for contemporary poets, and woefully understudied. For Console, the touch is at once lighter and the burden heavier. That is to say, the emphasis on pentameter is not likely to be so overbearing as repetitive, alliterative stress. All the more so, because Console’s pentameter is only intermittently iambic: many of the poems actually scan trochaic, with dactyls for further variation. In that sense, it is perhaps more accurate to say that Console works in syllabic verse; but that is part of the difficulty of meter in an age of printed poetry, anticipated by Pound all those years ago — it is simply not the way we tend to compose, or hear, poetry these days. And that feeds into the burden here, which is that Console’s case for the formal constraints he employs seems somewhat artificial, even arbitrary. But perhaps that’s only because we’ve gotten so far from the high-modernist idea (to again reference Eliot and Pound) that “No verse is free for the man who wants to do a good job.” Some sense of meter or at least rhythmical pattern is still, one hopes, the concern of well-trained poets determined to work with the line, which Console clearly is. If this book had come out even fifty years ago, it would be no remarkable thing that the author had pursued a more or less regular metrical line. It remains then to examine how regular, and how effective, that line is in its actual deployment. As can be seen from my amateur scansion of the above poem, from section one of THE ODICY, the meter in the poem is far from regular, though discernible patterns emerge from time to time. There is, for example, a faint overtone of the iambic in the first stanza, broken in each line by a tendency to string two unaccented syllables together — and the echoing y sounds at the end of each line practically necessitate a falling stress there, thus giving a dactylic feel to some lines (“enemy,” “enmity,” “harmony,” etc.). In fact, the heave at the start of many lines, and the frequent use of three-syllable feet, reminds one of Gerard Manley Hopkins’s rhythms, an acquired taste that, as with Hopkins, the poems will hopefully acclimatize the reader to as he or she goes along. The recurring end-sounds, sometimes rhyming, sometimes not, also exemplify the arbitrary nature of the project from a formal standpoint (there is no obvious reason for them here, and nowhere else is rhyme hinted at so overtly). In these ways, the poem demonstrates the risks and rewards of the project as a whole. The greatest risk is a tendency to swerve into a sort of formal diction and archaic lyric tone. This risk actually pays off (at least to my ear) in the above poem, since the tone set by the first two stanzas makes the sudden switch to the informally voiced “Tony. Else you got to stay / Tony” really pop out. Therein lies the reward. But I’m left wondering if, given all the determining factors that went into the making of these poems, it’s enough to sustain a reader’s interest. A great poet once told me that obsession is the key to a long poem (or series of poems). Clearly, that is the case with Cyrus Console’s THE ODICY, in terms of both form and subject matter. But obsession does not guarantee success. I find myself wishing, contradictorily, that the project had been pared down in certain respects and extended in others. Section three, “THE OPHANY,” with its “RAINBOW” acrostic structure, tamps down the emphasis on pentameter — there is still a strong sense of rhythm, but some lines include only eight syllables — as well as spirituality, and recalibrates to a less formal tone. Instead, the focus here is the sugar industry and big corporations such as Monsanto. This is by far the most compelling and cohesive sequence in the book, and I wanted a lot more of it.